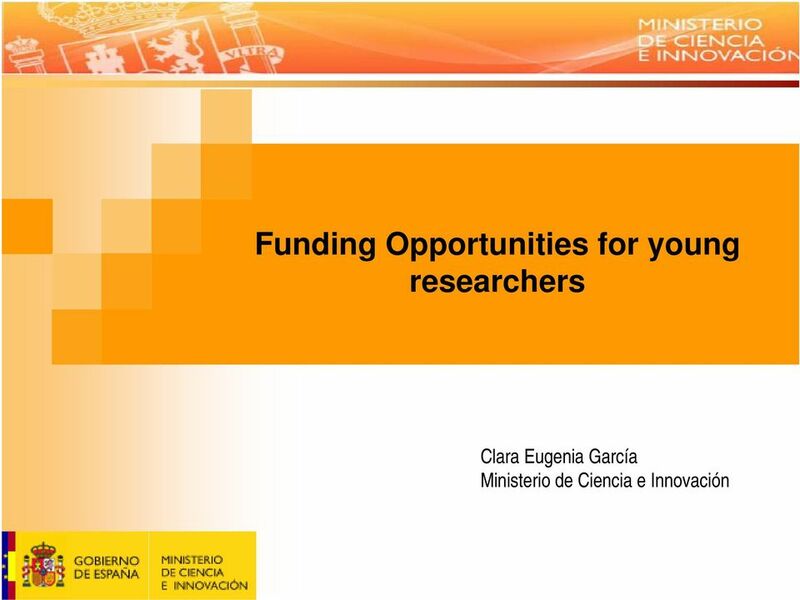 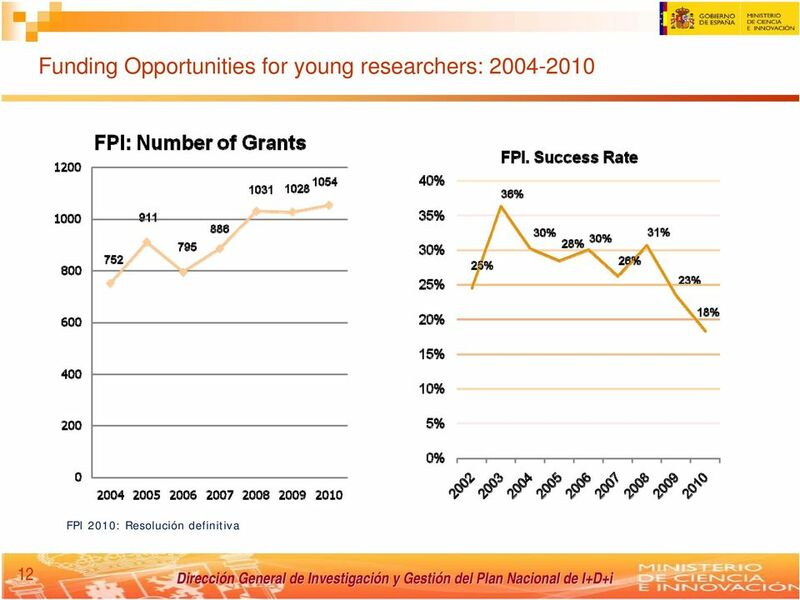 Download "Funding Opportunities for young researchers. 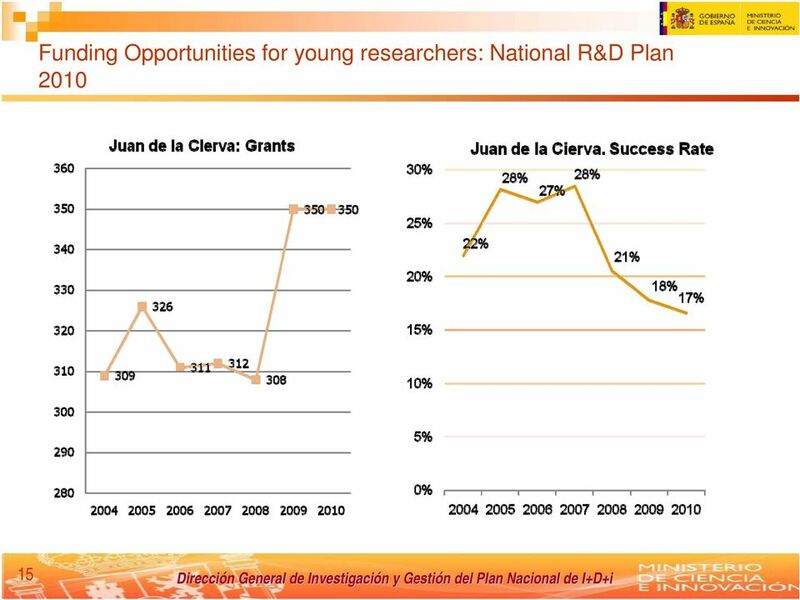 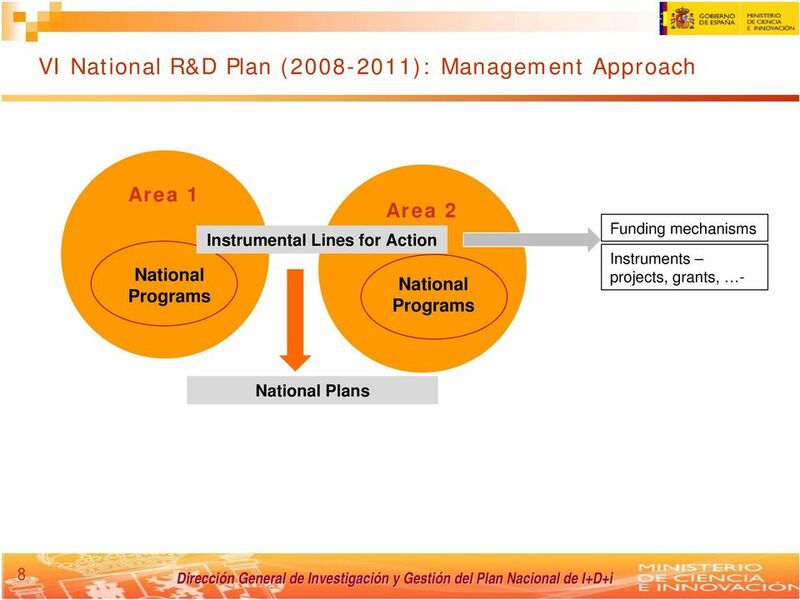 Clara Eugenia García Ministerio de Ciencia e Innovación"
32 A New Science Act for expanding opportunities Funding actors have a dual role: (1) buiding R&D capabilities and (2) strenght cooperation among performing agents. 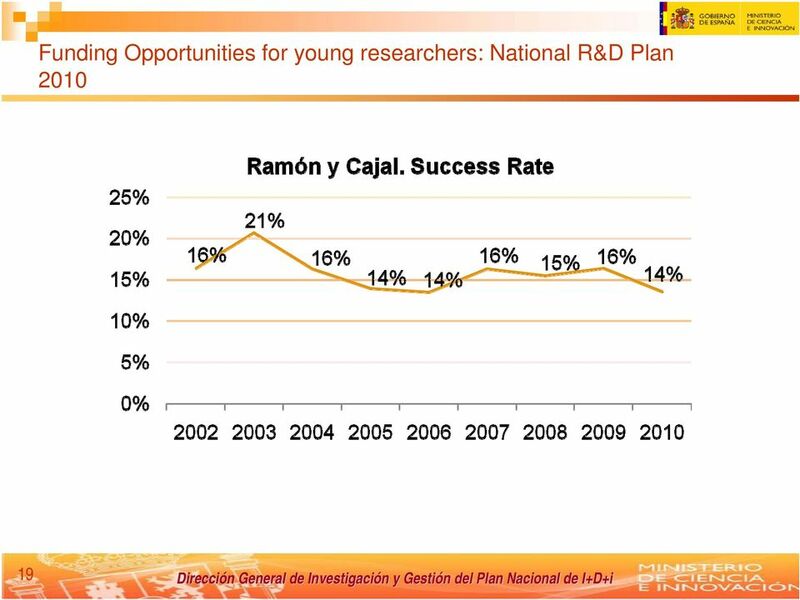 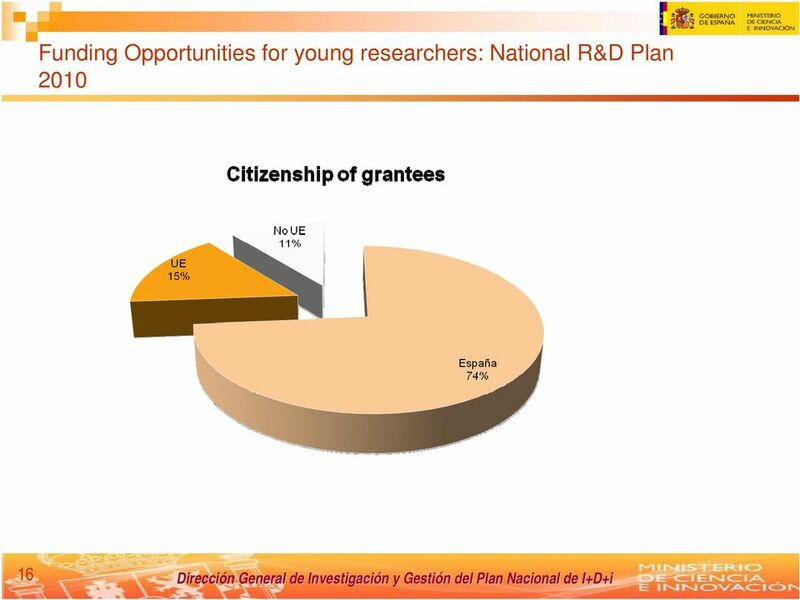 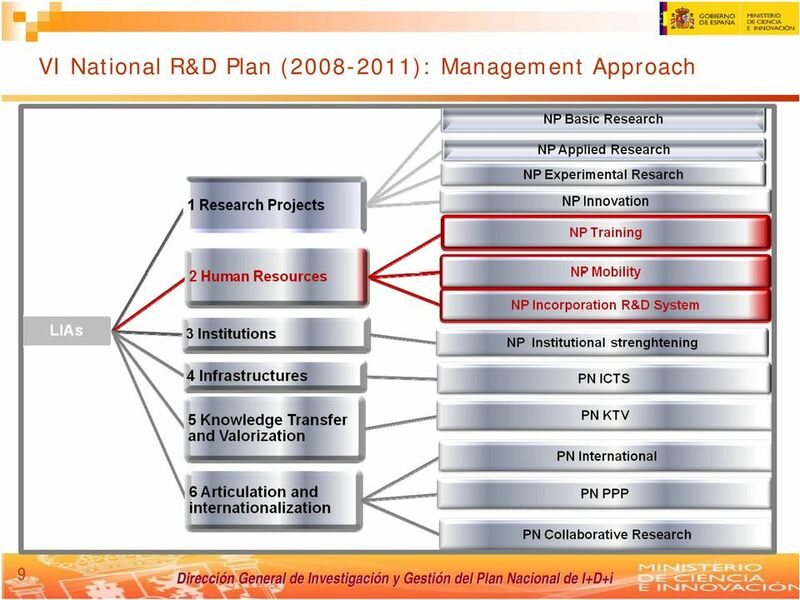 R&D funding by the national state is supported by: (1) National R&D Plan and (2) State Strategy for Innovation. 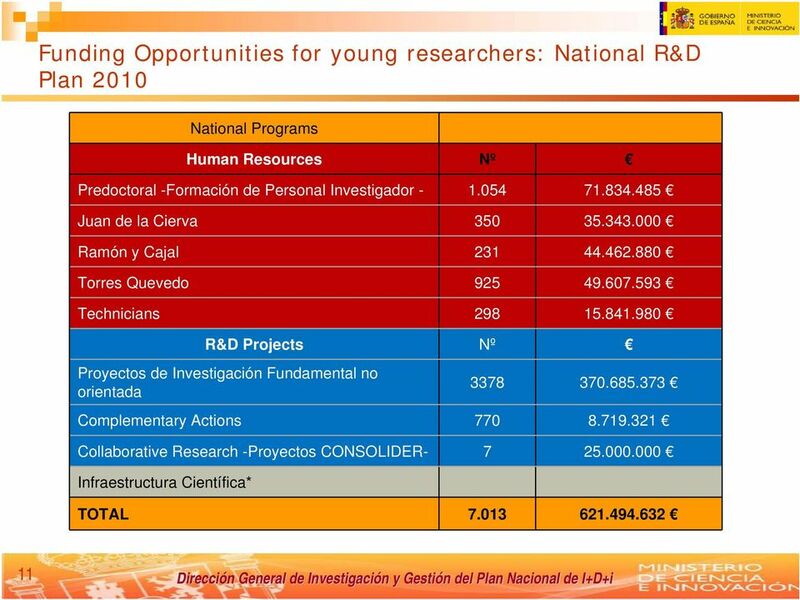 National state funding, evaluation and control will be allocated to the National Research Agency + Center for Industrial and Technological Development. 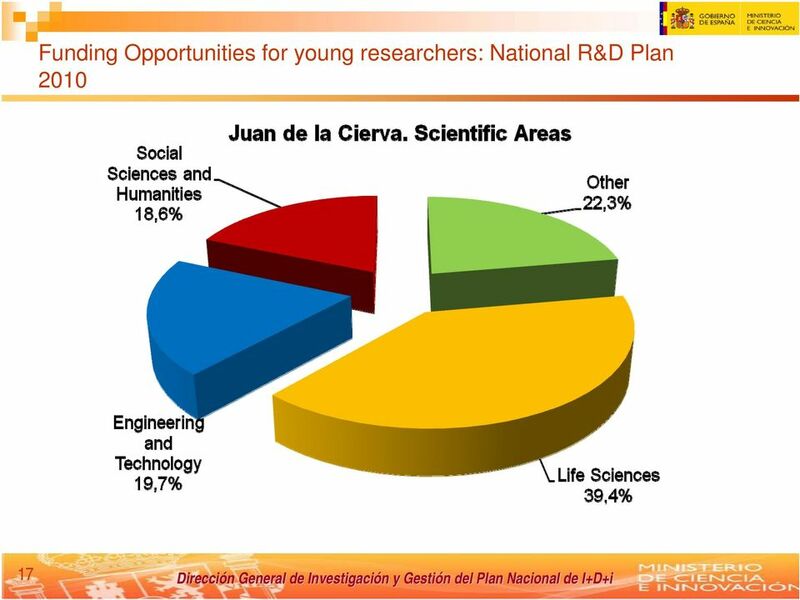 33 A New Science Act for expanding opportunities 1. 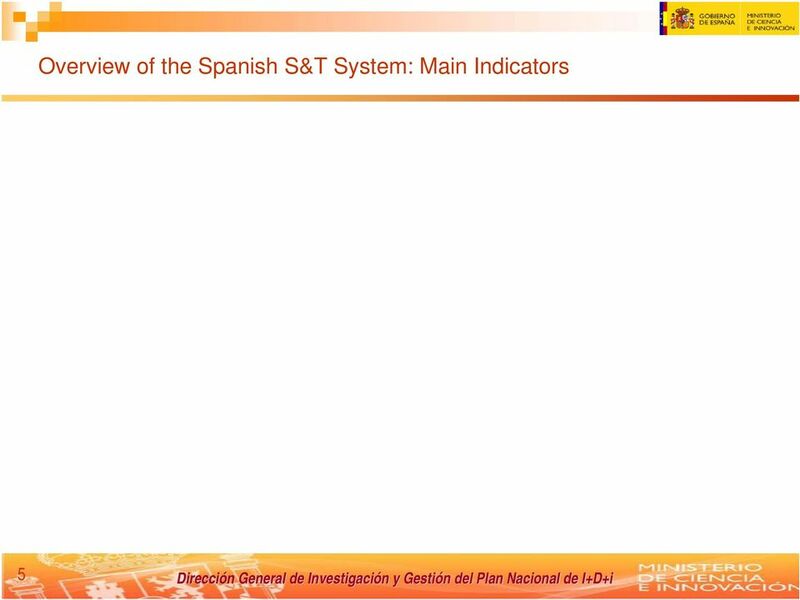 Coordination Tools S&T System: Agents 1.1. 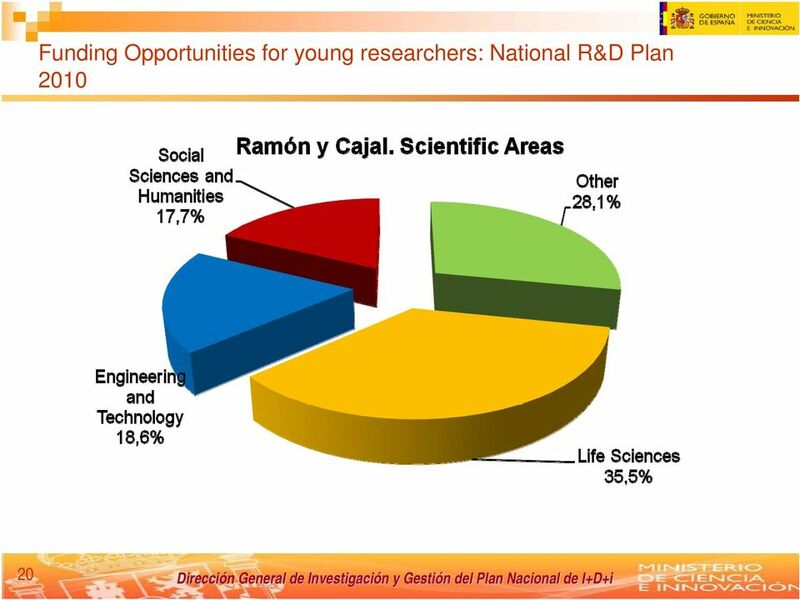 Regional 1.2. 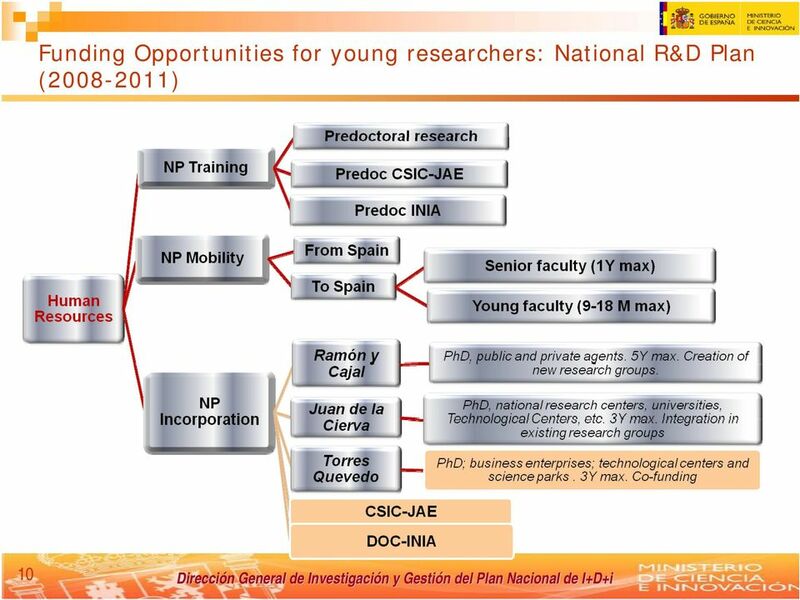 Internacional National State and Regional Governments + CCAA Estrategia Española de Ciencia y Tecnología The EECYT is at the core of science and technology policies in Spain, fostering cooperation and coordination thru the establishment of shared goals and commitments in those straregic areas and priorities. 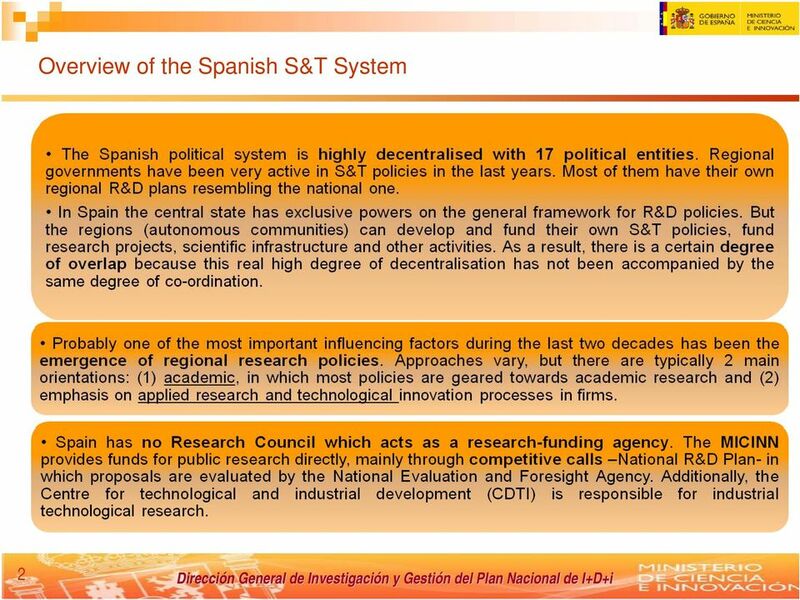 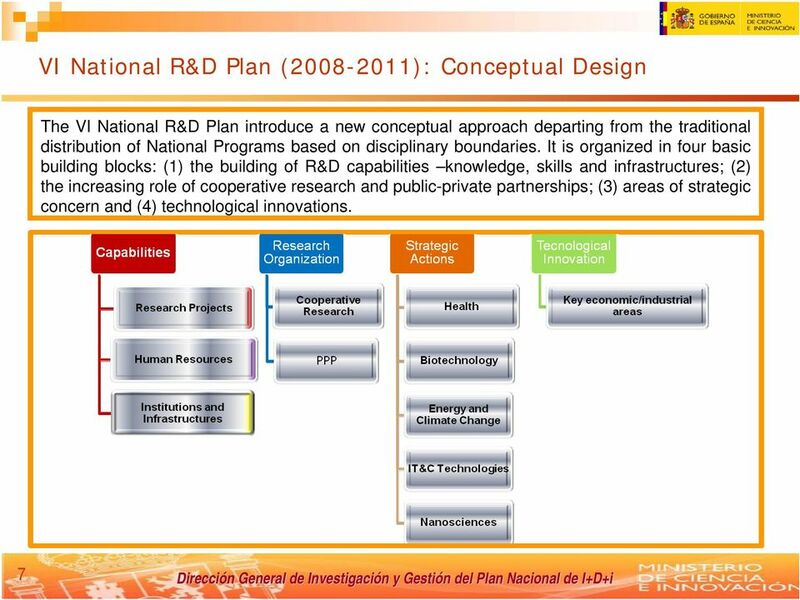 Governance Consejo de Política Científica y Tecnológica Consejo Asesor de Ciencia, Tecnología a e Innovación Shared responsibility in S&T policy beyond the National R&D Plan and the coordination hypothetical- with the corresponding regional R&D Plans. 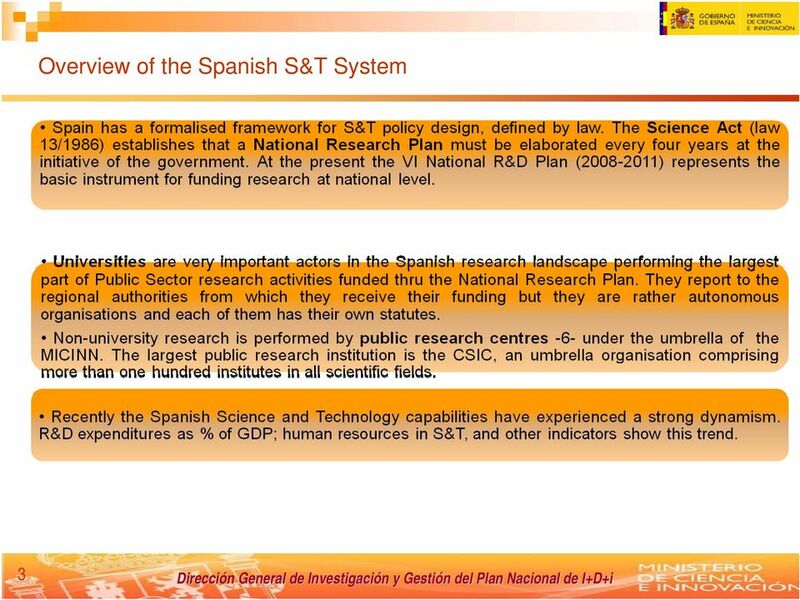 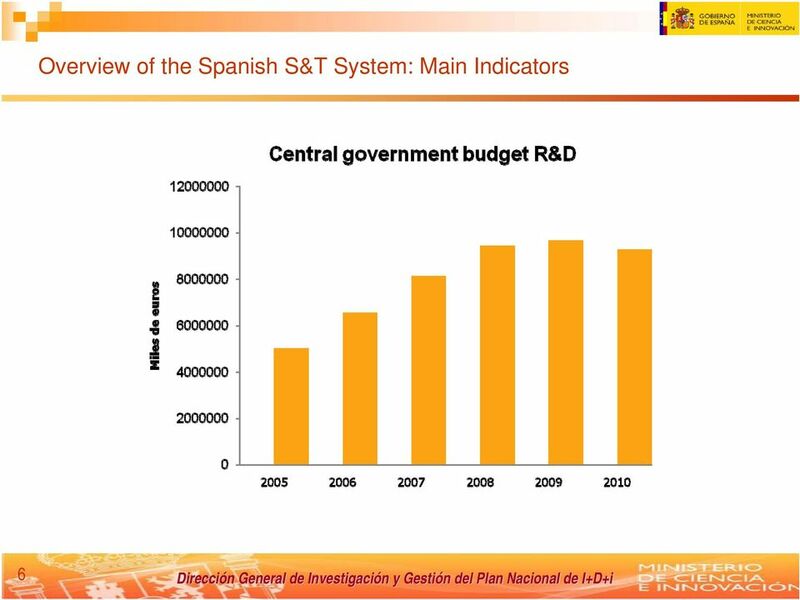 Assist the CPCYT in the process of coordination and elaboration of: the National R&D Plan, the Spanish Strategy for S&T and the State Strategy for Innovation. 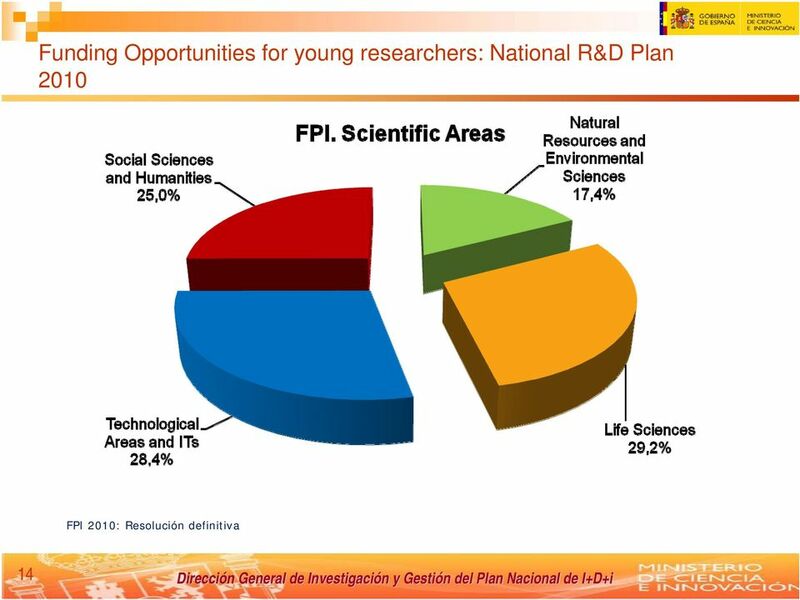 Seminario Liblink: "State of the art and technologies in Information Science and Open Access" Puebla, México, 27 de marzo de 2014 Políticas internacionales en favor del Acceso abierto a la producción científica. 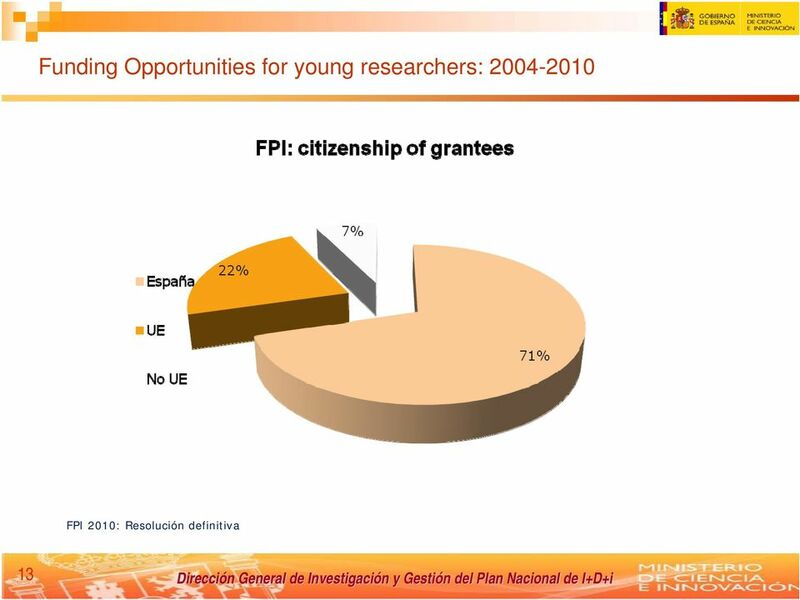 El Programa Marco Horizonte 2020 Oportunidades de financiación para el sector cultural. 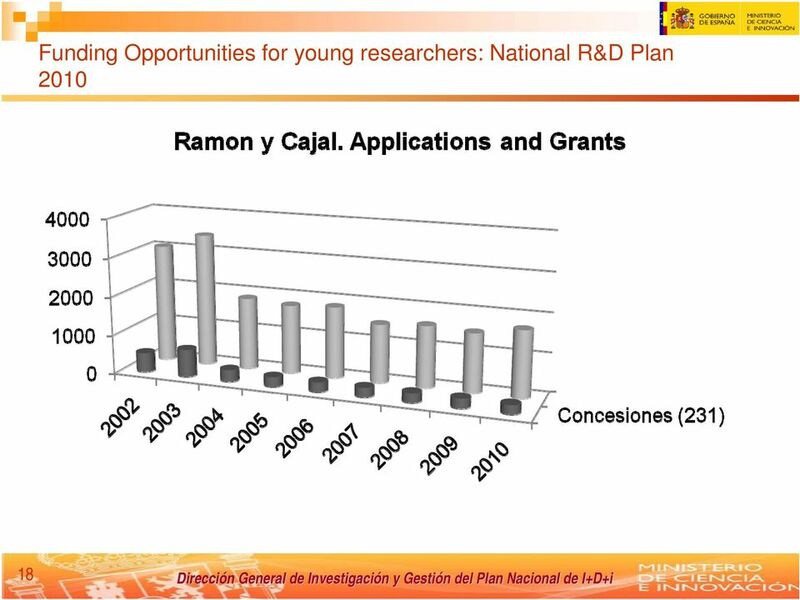 Antonio Palanco antonio.palanco@juntadeandalucia.